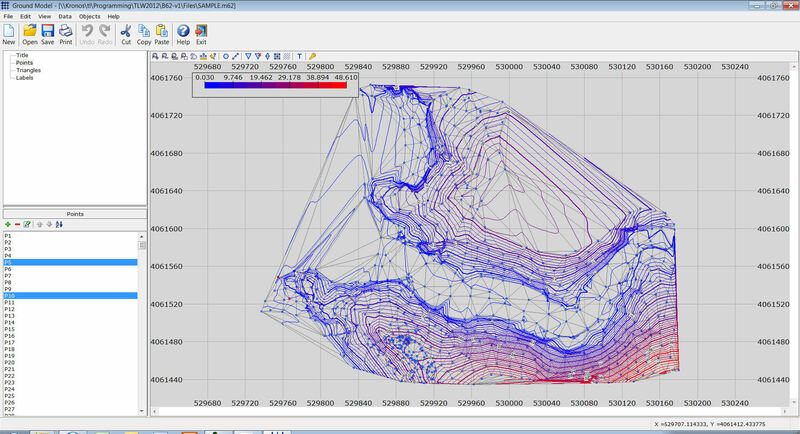 This program is a generic tool for creating a ground model based on point data. Usually, the data are the elevations of the points. The program creates a TIN (Triangulated Irregular Network) and the corresponding contours. The results can be exported in DXF files. 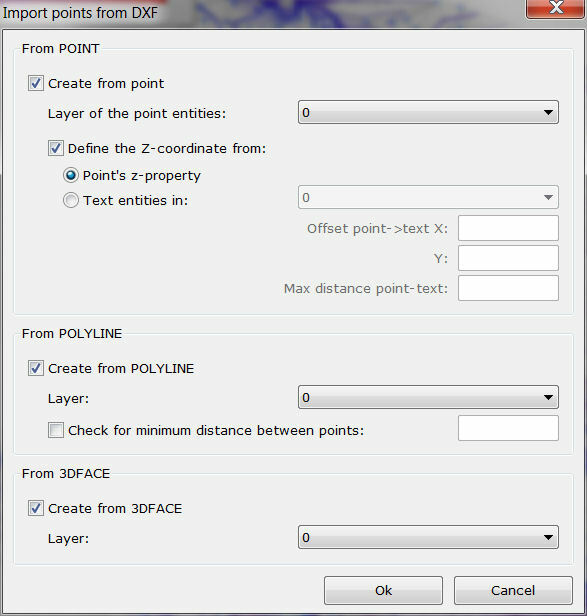 Easy data input from DXF files using POINTS (and, optionally, reading the elevation from TEXT entities), POLYLINES (with automatic control of point density) and/or 3DFACES. 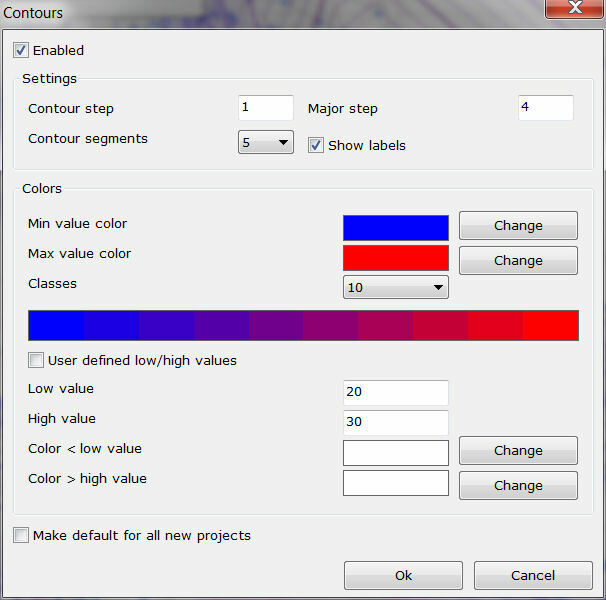 Creation of colored major/minor contours . Export to a DXF file.